Valentine's Day is upon us and we have the perfect party in a box for you. The Pink Party. 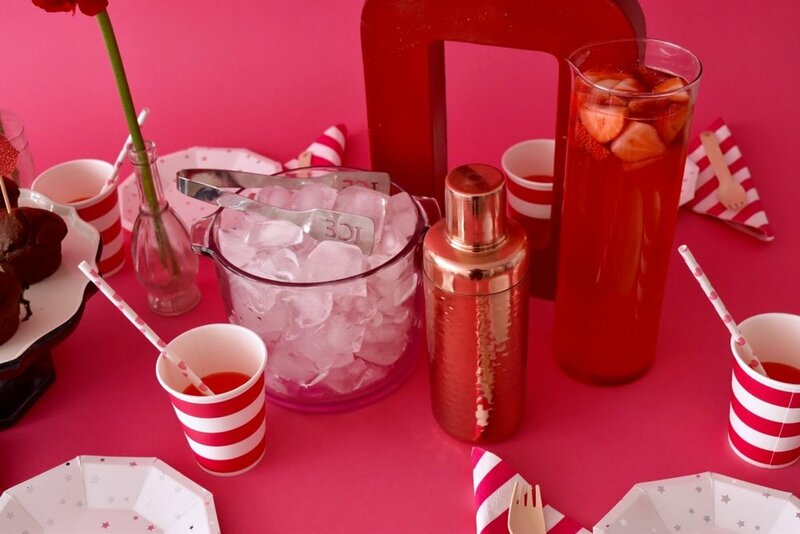 With bold stripes and soft stars it's the perfect combo of tableware and decor for your Valentine's Day Party. This Valentine's Day we're celebrating our best girl friends with cupcakes and cocktails. 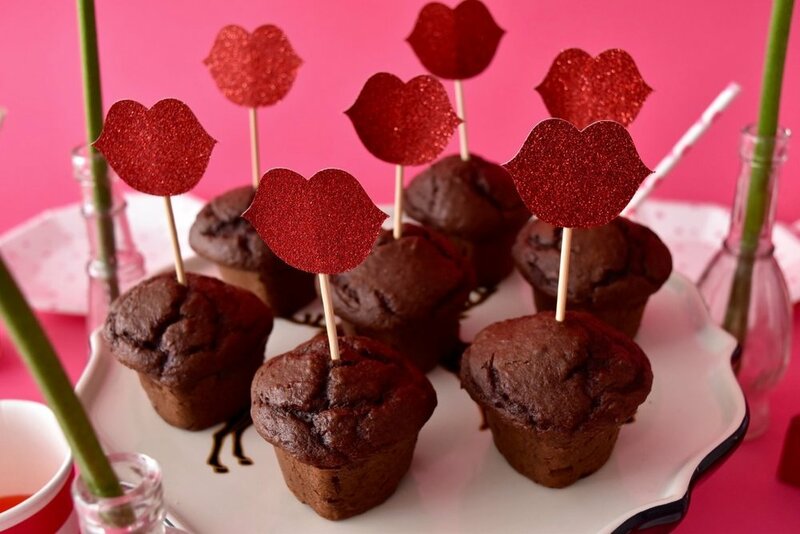 We baked heart shaped chocolate cupcakes and topped them with the red glitter lips found in our Valentine's day box. We whipped up a strawberry cocktail that was the perfect compliment with chocolate. To stir this up you need sliced strawberries, club soda, strawberry soda (we used one from Jones), ice and vodka. Shake up a shot of vodka and ice, pour into your cup and top with club soda and a splash of the strawberry soda. We pre-mixed the club soda and strawberry soda so it was ready to go. And of course set out an ice bucket and shaker. We found some pretty garland leftover from last Valentine's Day so we tied it to our Cheers balloons to make for festive balloon tails. If you're up for some DIY'in...you can make XOXO like we did! We found cardboard letters at our local craft store and I spray painted them red. How easy is that?! I use them every year now. Literally...going on 5 years! Now add your friends and you're ready to party! Shop the Box at Little Miss Party in a Box.